How does our immune system function and how can yeast beta glucan support our immunity throughout our life? While most of us understand that maintaining a healthy immune system is important to our overall health and well being, the immune system remains one of the most complex and least understood systems of the human body. As our foundation of health, immunity is becoming a lifelong concern for many people. 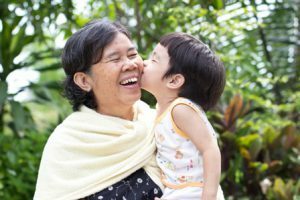 From infancy to late adulthood, understanding how the immune system functions throughout our lifecycle is an important step in understanding how nutrition and supplementation can help support our immunity. Broadly speaking, our immune system functions by mobilizing two unique yet intertwined forces: innate and adaptive immunity. Both systems are equally important in fending off foreign invaders, but they differ in many ways. 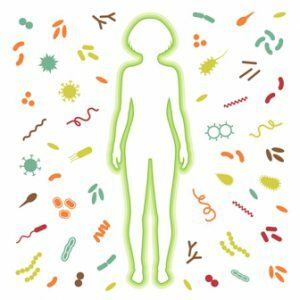 The innate system is your body’s first generic line of defense: The ‘innate’ (meaning “present from birth”) system contains the largest population of immune cells in the body. It also comes armed with a set number of strategies for recognizing and destroying infections, without needing to be trained to identify them. In short, when your innate immune system senses a potential intruder, it will immediately respond to those foreign invaders. Childhood – the immune system consists primarily of a well-developed innate immune response and a developing adaptive immune response. Adulthood / maturity brings forth a fully developed immune system, but a wide range of physical and lifestyle stresses can impact its effectiveness. Aging may reduce some immune functions, lessening responsiveness and diminishing overall effectiveness. 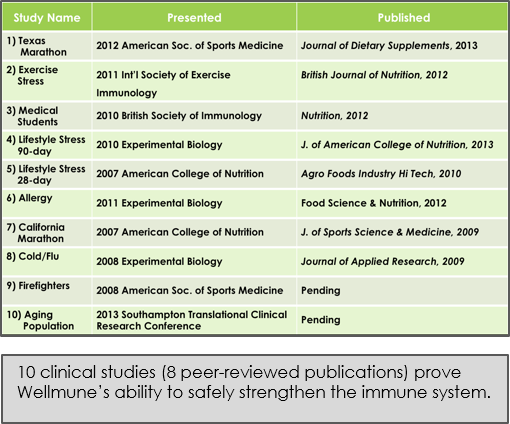 How can nutrition and supplementation impact the innate immune system so that it’s ready when it is most needed? As we’ve learned, unlike the adaptive system, the innate immune system has no memory, and it does not provide ongoing protection against future infections, but it does make up a large part of how our body responds to illness and infection. So how can we help support our innate immunity to be ready for action? Because the immune system requires a lot of the body’s resources to function – Nutrition Is Key. Consumers associate many nutrition and supplement ingredients (think of vitamins, minerals, herbal extracts, and probiotics) with immune health benefits. But, scientific evidence is often either limited or is made up of a mixture of positive and negative results with little or no understanding of the mechanisms behind the purported benefits. Wellmune’s proven mechanism of action (MOA) can change innate immune responses to strengthen the immune cells that help keep people healthy. Once swallowed, immune cells in the gastrointestinal tract take up Wellmune and transport it to immune organs throughout the body. While in the immune organs, immune cells (macrophages) digest Wellmune into smaller fragments. The fragments bind to neutrophils – the most abundant immune cells in the body – via complement receptor 3 (CR3). Primed by Wellmune, neutrophils more quickly recognize and kill foreign challenges. The MOA of Wellmune is well documented across all life stages (including children, adults, seniors) and amongst individuals experiencing various real-life situations (firefighters, stressed populations, athletes). Most recently, we’ve released findings that demonstrate Wellmune’s ability to help keep children significantly healthier by decreasing episodes of common childhood illnesses and symptoms of illness such as upper respiratory tract infection symptoms (URTI). The study was presented at the American Society for Parenteral and Enteral Nutrition (ASPEN) Clinical Nutrition Week 2016, and voted Best International Abstract. 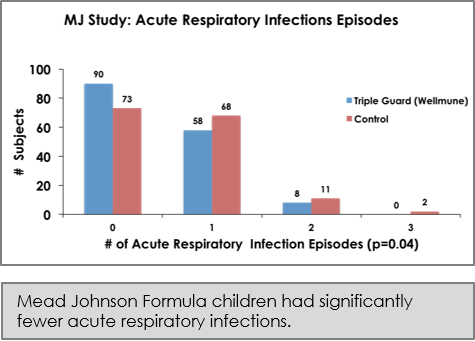 Previous studies with Mead Johnson Nutrition found that children consuming formula with Wellmune had significantly fewer acute respiratory infections, used less antibiotic interventions, and missed significantly fewer days of school as a result. The Future of Immune Health & NutritionThese new studies, combined with previous research demonstrate the unmatched clinical evidence behind the natural ingredient’s ability to strengthen the immune system. Because we recognize the benefits this nutritional ingredient has on the immune system, Wellmune has the ability to provide nutritional value to a broad range of consumers, as well as food, beverage and supplement manufacturers in the immune health category.In the meantime, continuing to understand the value of our immunity throughout our life, how it works and what role nutrition and supplementation can play in supporting a strong, functioning immune system is becoming a requirement for setting a foundation of health that will help us all be well and stay well. Dr. Cox is the Senior Vice President of Research & Development for Wellmune, part of Kerry’s nutrition and general wellness portfolio. He leads research and development efforts for Wellmune WGP, as well as other nutritional ingredients for use in foods, beverages and supplements. Dr. Cox has an MBA from the University of Iowa and a PhD in Food Microbiology from Cornell University.